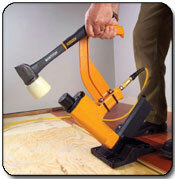 Harness the power of compressed air and complete your flooring jobs quickly and easily. 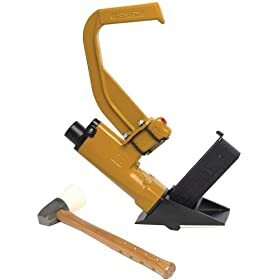 Just connect the Bostitch MIIIFN Pneumatic Flooring Cleat Nailer to your air compressor for 420 in/lbs of impact at 70-120 PSI. A manual strike will activate the firing action with a lightweight FloorGuard graphite mallet, and a 110-cleat magazine will keep you working without interruption. Ergonomically designed for ease of use, the MIIIFN features an elongated handle that lets you work in a natural, comfortable position. 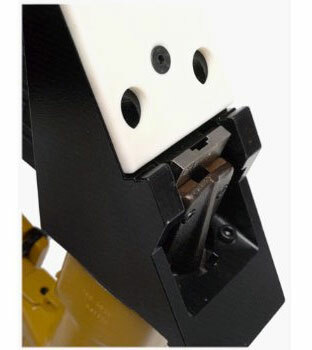 For control, the extra-wide 1/2- and 3/4-inch interchangeable base plates sit flush against floor boards for stability, so you can drive cleats at the proper angle and depth every time. Additionally, a pre-finished floorboard adapter foot won't scuff or scratch floors during installation for a professional-grade look. 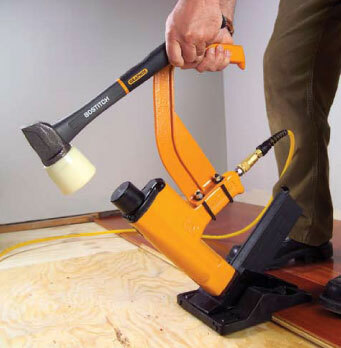 The MIIIFN Pneumatic Flooring Cleat Nailer's lightweight body and graphite FloorGuard mallet make this tool comfortable enough to wield all day without fatigue. Built for durability, this nailer will withstand the wear and tear of any jobsite. The Bostitch MIIFN Pneumatic Flooring Cleat Nailer measures 3.13 x 11.5 x 17.25 inches (WxHxL) and weighs 11.2 pounds. It is covered by a seven-year limited warranty.